View cart “ROSÉ” has been added to your cart. 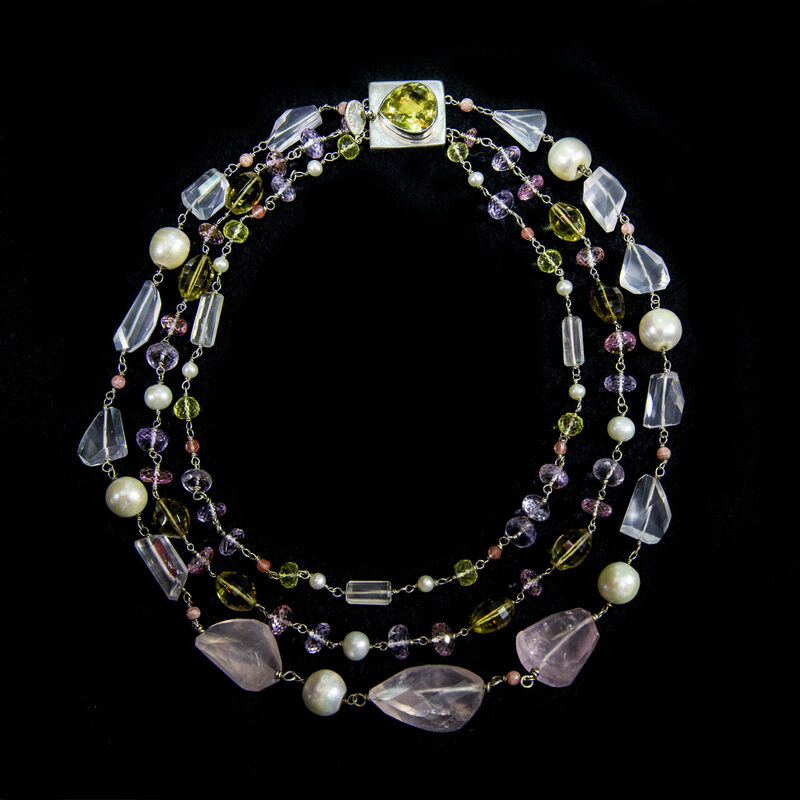 A subtle, elegant three-strand necklace with faceted rondelles in pink topaz, mauve ‘pink amethyst’, faceted lemon quartz beads and honey colours set off with impressive creamy-white freshwater pearls, a silver statement clasp set with a large, faceted pear shaped lemon quartz in sterling silver. The lovely Brazilian rose quartz is cut in a tumble/twist-step cut. The beer quartz is in beautifully cut, clean tapered barrels. 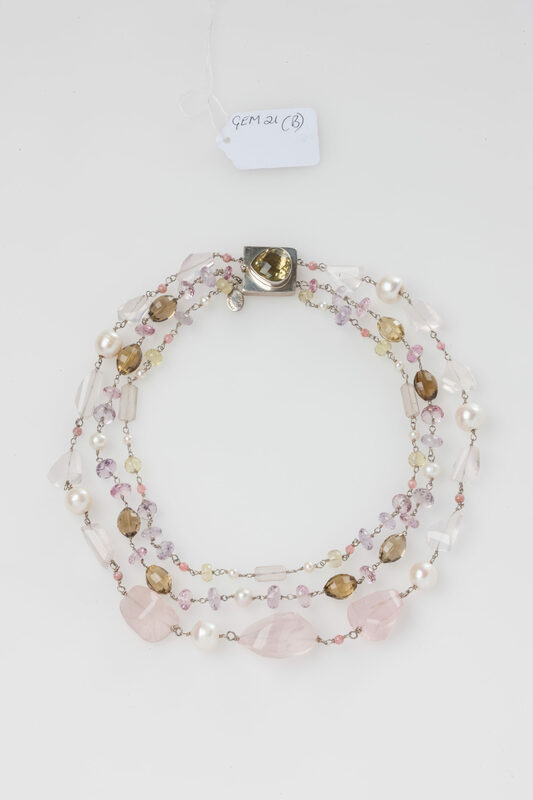 The necklace is accented by very small warm pinks – of rhodochrosite and cherry quartz beads (2.00 – 4.60 mm in size). The full story will be sole privilege of the owner of this piece to share as they wish. 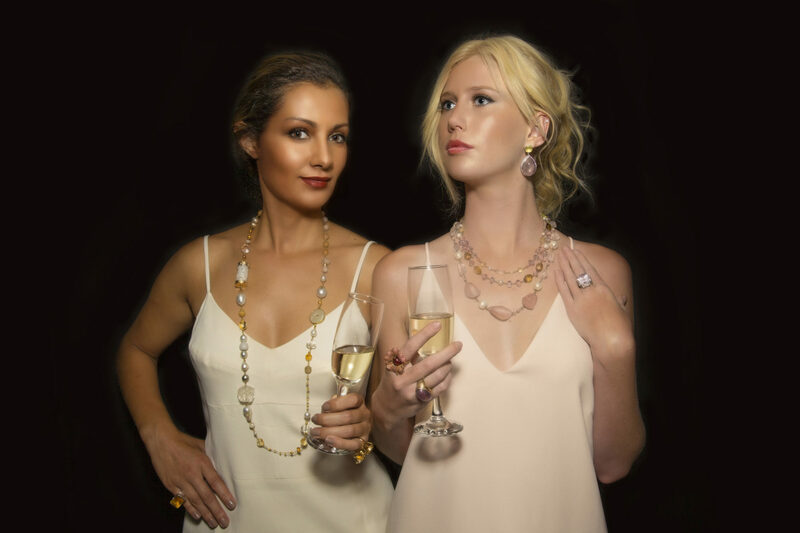 An elegant necklace of light pinks, mauve, lemon and honey contrast with large creamy freshwater pearls and a large statement clasp of a large faceted pear shaped lemon quartz.